Windshield Repair San Diego provides top rated auto glass replacement and repair for all makes and models in San Diego County. Our company is family owned and have serviced many satisfied customers throughout the county for the past 10 years. Our team of professionals can handle any repair and replacement glass needs for your SUV, truck or car. 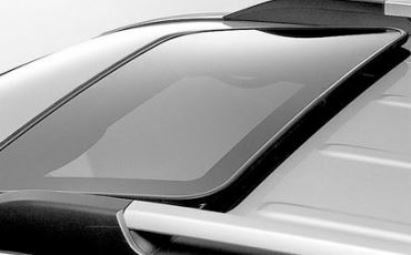 We provide not only windshield window repair/replacement, but also replacement or repairs for the following areas of your vehicle: rear door, passenger, driver, rear window, back, and quarter windows. If your windshield is smashed, cracked or broken our mobile repair services can help. Our team of vehicle glass specialist can come to your home, work, place of business or any other location you desire. Our San Diego mobile windshield repair experts are well qualified to provide the best full-service mobile auto glass repair and replacement experience at affordable and competitive prices. We provide our services all across the county to the following areas: La Jolla, UTC, Del Mar, Carmel Valley, Rancho Santa Fe, 4S Ranch, Rancho Bernardo, Rancho Penasquitos, Carmel Mountain, Poway, Scripps Ranch, Sorrento Valley, Miramar, Mira Mesa, Santee, Tierra Santa, Mission Valley, Fashion Valley, Linda Vista, Clairmont Mesa, Kearny Mesa, North Park, Hillcrest, Downtown, Sports Arena, Pacific Beach, Mission Beach, Old Town, University City, Kensington, College Area, Coronado. North County : Solana Beach, San Marcos, Encinitas, Del Mar, Carlsbad, Oceanside, Vista, Escondido, Fallbrook, Bonsall, Leucadia, Cardiff, La Costa. East County : La Mesa, El Cajon, Lakeside, Spring Valley, Lemon Grove, Alpine, Santee. South County : National City, Chula Vista, Bonita, Eastlake, Imperial Beach.